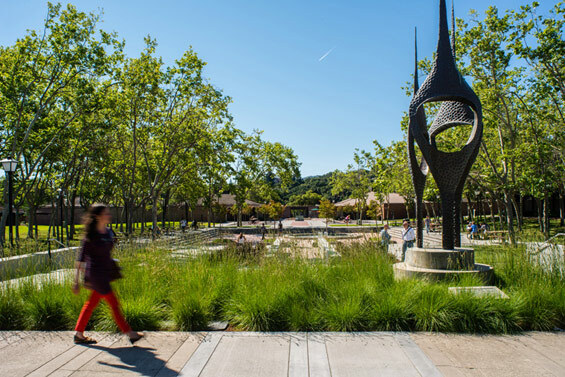 Foothill College serves as an influential example of the integration of Landscape Architecture and Architecture in post World War II modernism and was immediately bestowed many top awards upon completion. One of the first junior colleges built after World War, and originally designed by architect Ernest Kump and landscape architect Peter Walker, the campus master plan was structured around the idea of an “acropolis”, with the campus located at the top of the hill. Vehicles were relegated to the edges of the campus, and the pedestrian oriented campus core was dignified and tranquil. A rolling campus green, large central grove and intimate academic courts that were an extension of the classroom pavilions created a successful hierarchy of landscape spaces and employed a distinct design language whose structural clarity remains today. Withstanding the test of time the project was awarded the ASLA National Classic Award in 1993. Over the past 50 years, however, the campus has suffered deterioration. Worn, dilapidated and plagued by numerous code violations, a bond was secured by the college district in 2006 to make significant improvements to the entirety of the landscape. From the beginning, Meyer + Silberberg advocated the need to define a long term vision for campus improvements by reassessing the original planning concepts and shaping the direction of future design to preserve the historically significant components of the site. 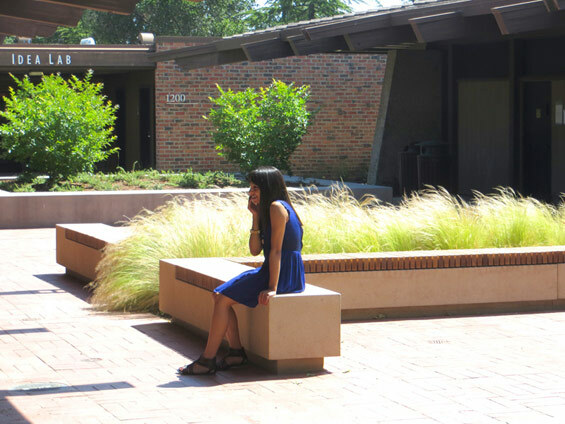 Valuing the design legacy of their campus, the college embraced this strategy. Meyer + Silberberg began with a methodical assessment of the existing conditions to help the college prioritize improvements. Starting with an in-depth analysis of code compliance issues, Meyer + Silberberg also studied existing paving, planting, drainage patterns, and furnishings. 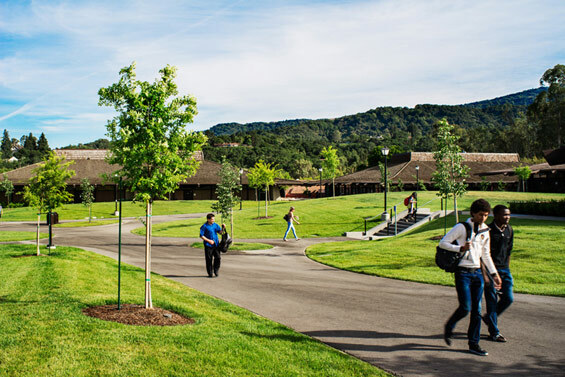 Beyond the major code compliance problems and issues related to aging infrastructure, it was discovered that the campus was in desperate need of social spaces for students waiting for classes and studying within the courtyards. 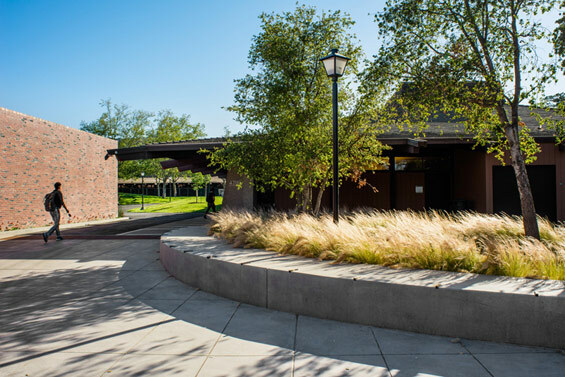 This assessment informed the designs and led to a series of courtyard designs that were customized to fit the programmatic needs of the various academic departments. To address ADA compliance, sunken courtyards were elevated and transformed into courtyard gardens. At the Central Court, a new ramp was placed on access with the entrance to the main library to the north and to the newer campus development and greater landscape beyond to the south. Meyer + Silberberg also established a “threshold” typology, transforming parking lots and expanses of asphalt into entry plazas. Though thoughtful initial site planning had placed most parking along the bottom of the hill, visitors walking from the lots and up into campus were offered no sense of arrival once they reached the acropolis. At the top of the stairs, visitors landed in staff parking lots or ambiguous expanses of asphalt. The North Threshold was once such a parking lot. Meyer + Silberberg removed the parking lot and transformed the space to receive and quietly guide visitors into campus. 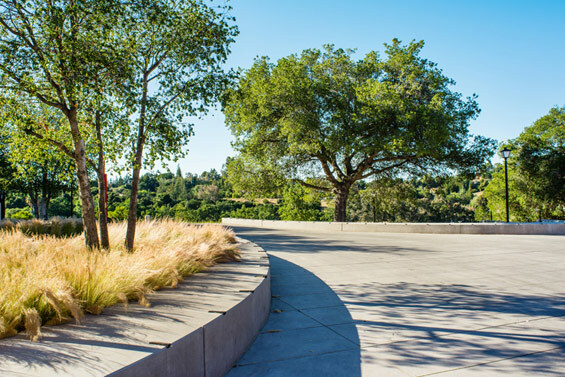 Seatwalls curve gracefully around existing oak trees, allowing one to rest and take in the beautiful views to the surrounding hills of Los Altos. The smaller academic courts were designed to address the unique needs and desires of each department. The design for the art department court includes a long concrete table with outlets and space to create their work. 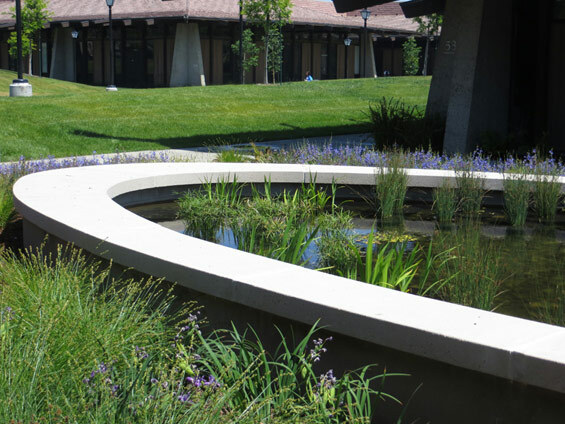 The Biology Department court integrates an oval shaped pond contained by a concrete wall, to be used for seating and to serve the programs in the Biology Department for water sampling. Plants surrounding the pond support the theme of the court and academic uses. Throughout all the courts a variety of drought-tolerant plants replaced aging plant material, while deciduous trees provide dappled shade and break down the scale of the spaces. 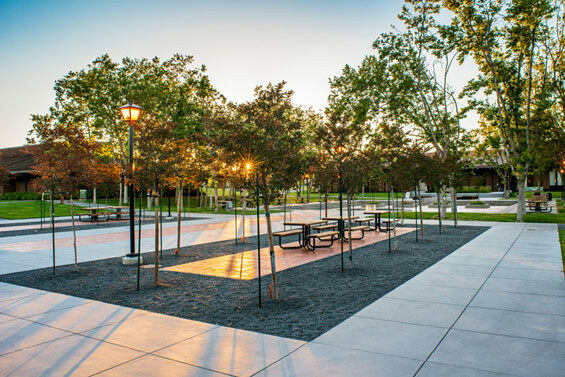 Meyer + Silberberg executed over $15 million in campus landscape improvements. 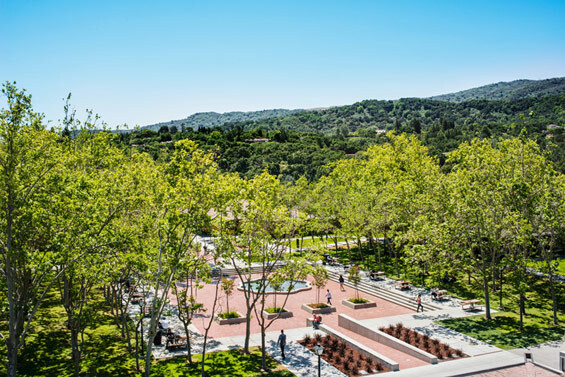 The Master Planning efforts strived to bring vision to the landscape with the goal of invigorating the social spaces while being respectful of the historic qualities of the original design and quiet dignity that permeates throughout the campus.